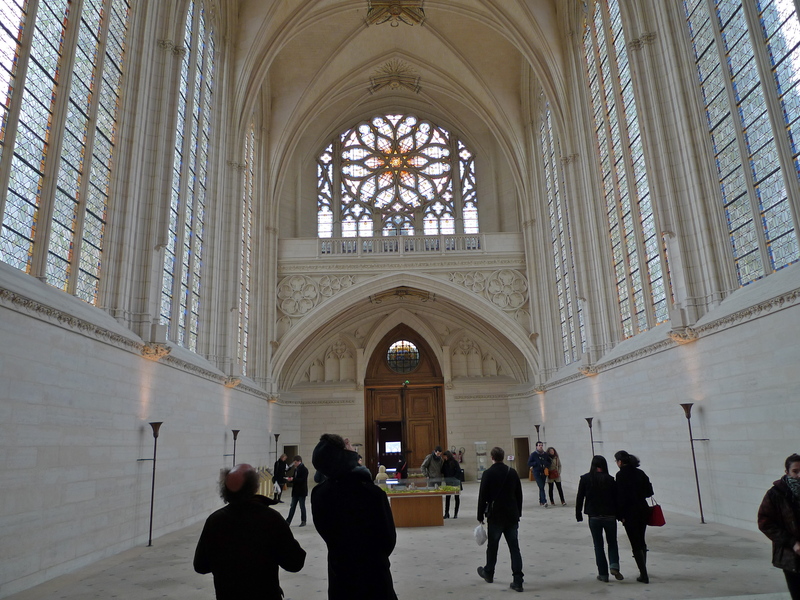 IT BEGAN LIFE in the mid 12th century as a royal hunting lodge in the forest of Vincennes in what is now the very east of Paris. 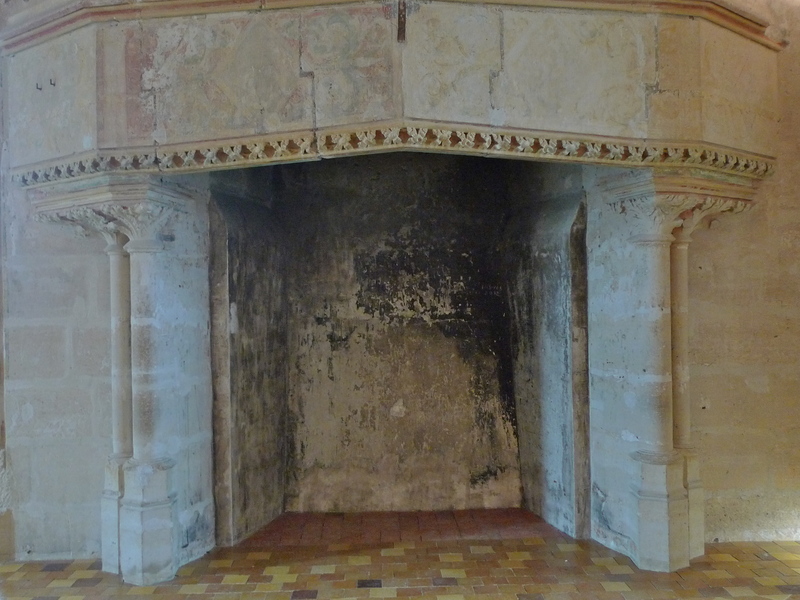 By the 13th century, the hunting lodge had expanded into a more substantial royal manor, a favourite residence of Louis IX, Saint Louis, King of France from 1226 until his death during the eighth crusade in 1270 and the only French king to be canonised. 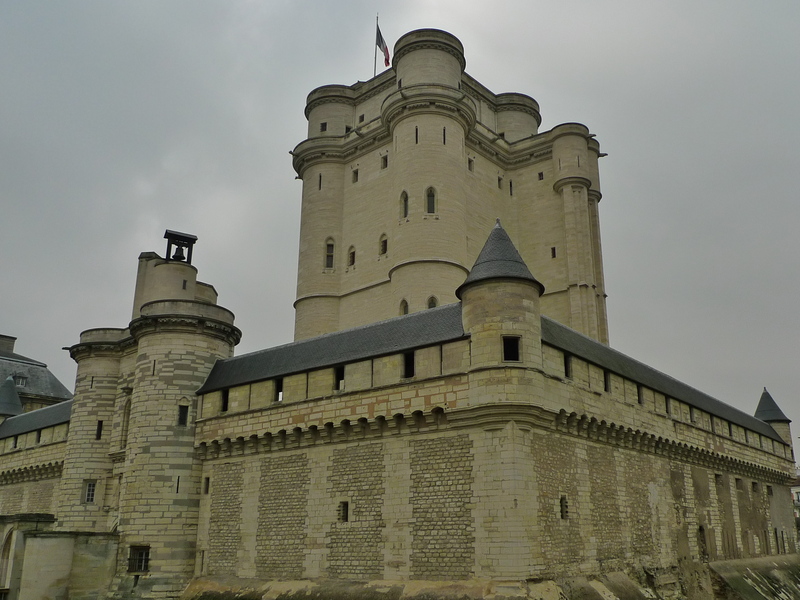 By the 14th century, the Château de Vincennes had expanded and outgrown the original site. 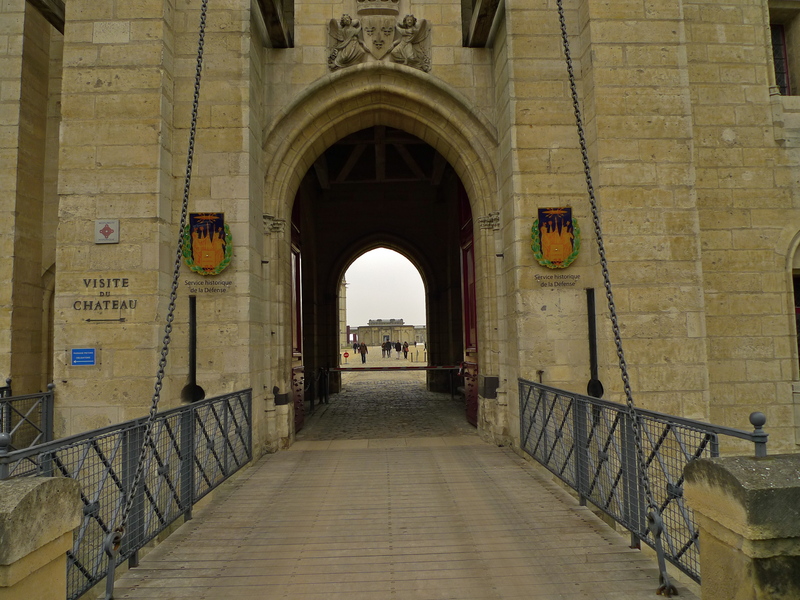 With the outbreak of the Hundred Years War, it became as much a fortress as a family home. Work began on a donjon tower, or fortified keep, which, at 52 meters high, was the tallest medieval fortified structure in Europe. The keep was completed in 1370 and it comprised a huge square tower flanked by four corner turrets. The tower is divided into six floors with rooms whose archways rest on a single slender central column. 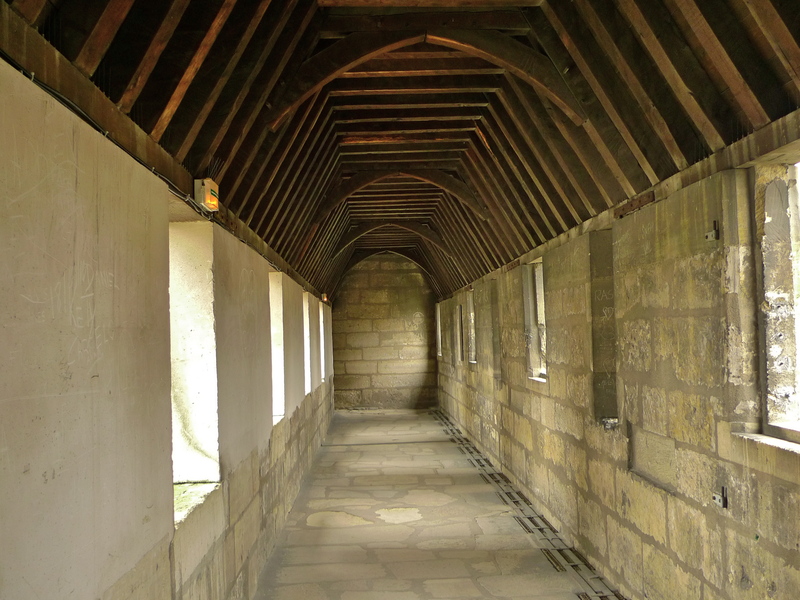 Each floor has the same layout with a large central hall and rooms in each corner turret. 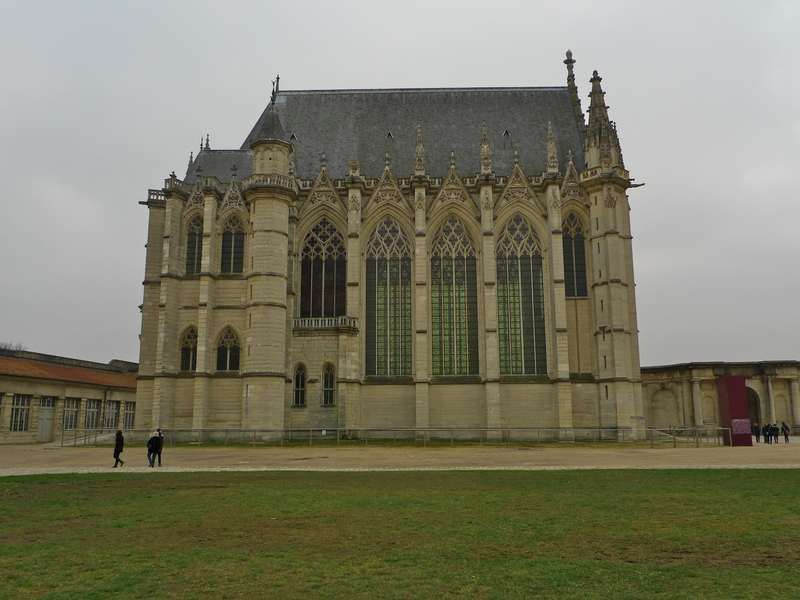 During this period the Château de Vincennes was closely associated with Charles V, or Charles ‘the Wise’, as he became known. The donjon served as the residence for the royal family, and its buildings once held the library and personal study of Charles V.
After many years of archaeological and restoration work, the donjon is now open to the public. 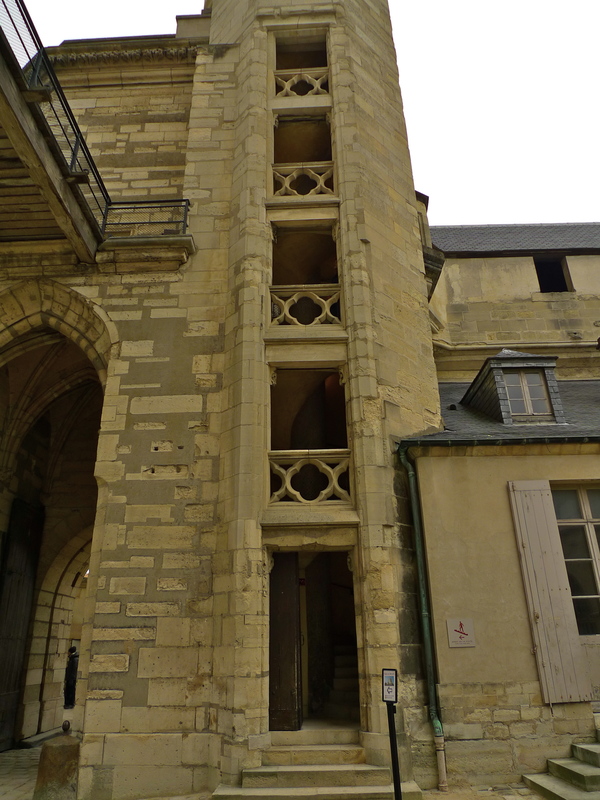 Access is gained from the chatelet, or gatehouse, in the courtyard via the oldest preserved example of an outwork staircase lit by five openings one above the other. 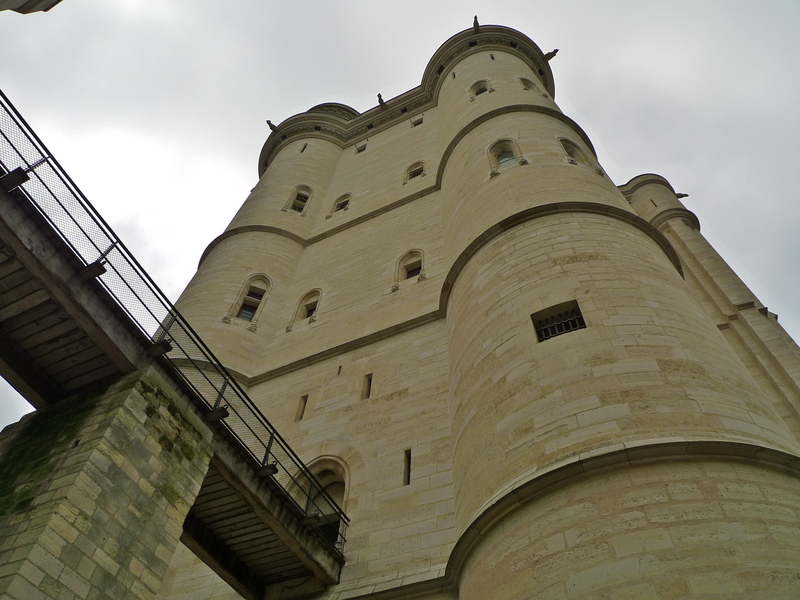 Climbing to the top of this staircase leads to the chatelet terrace with its magnificent view over the whole of the Château de Vincennes site. The bell tower is also here. Built in 1369, this bell tower housed the very first public clock in France. Of all the clocks installed by Charles V in his Parisian residencies, this is the only one to survive. 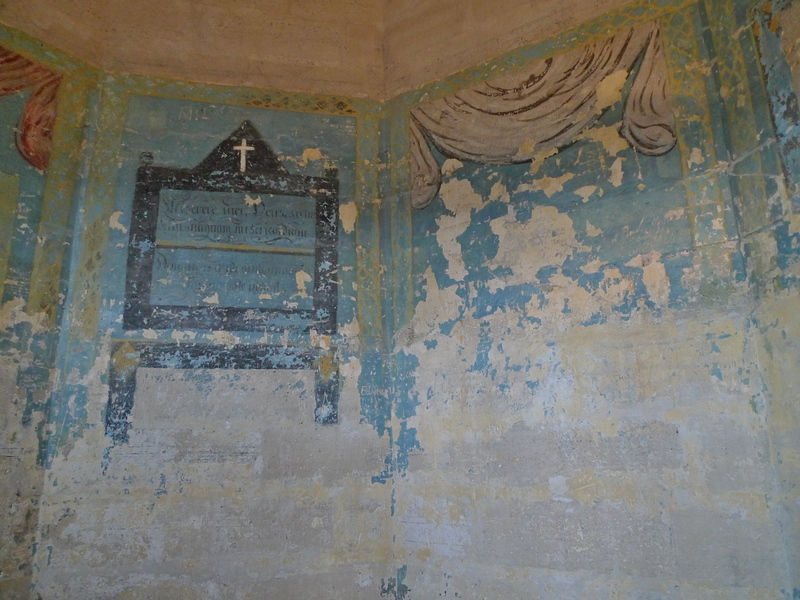 The clock, located above the king’s study in the chatelet and on the same level as his bedchamber on the second floor of the keep, punctuated his life according to the canonical hours marking the daily offices devoted to prayer. 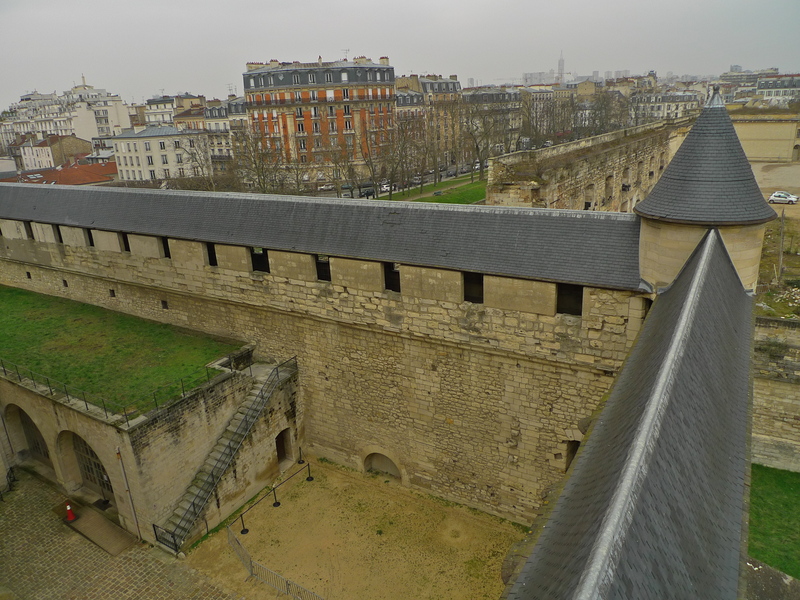 Just below the chatelet terrace is the chemin-de-ronde, the walkway around the battlements along which Charles V used to walk from his study to his apartment. Crossing the footbridge, which was the only way into the keep in the Middle Ages, one comes to the Council Chamber where official receptions took place as well as meetings between the monarch and his advisors. Beyond that is the bedchamber, the central room on the second floor with its beautiful fireplace. 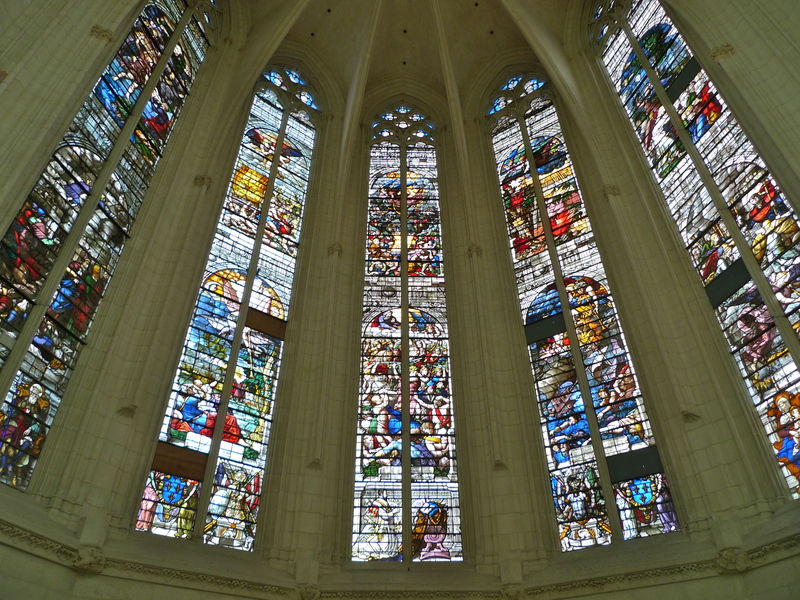 The king used to keep his finest manuscripts in a chest here placed in the west window recess. Close by in the northwest turret is the treasury once home to sacks of gold and precious treasure. Charles V was very fond of music and every day the finest musicians in France would attend upon the king and play music for him. 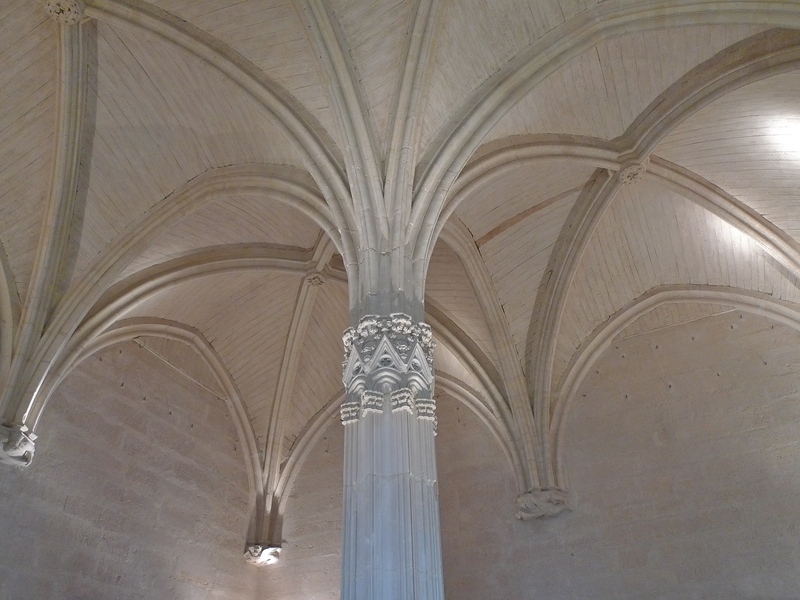 In the king’s quarters in the donjon today an installation recreates the sound of the medieval music that Charles V may well have heard. There is an English connection to the medieval keep. In 1422, following the siege of Meaux, the English king, Henry V, victor of the battle of Agincourt, died here from dysentery. 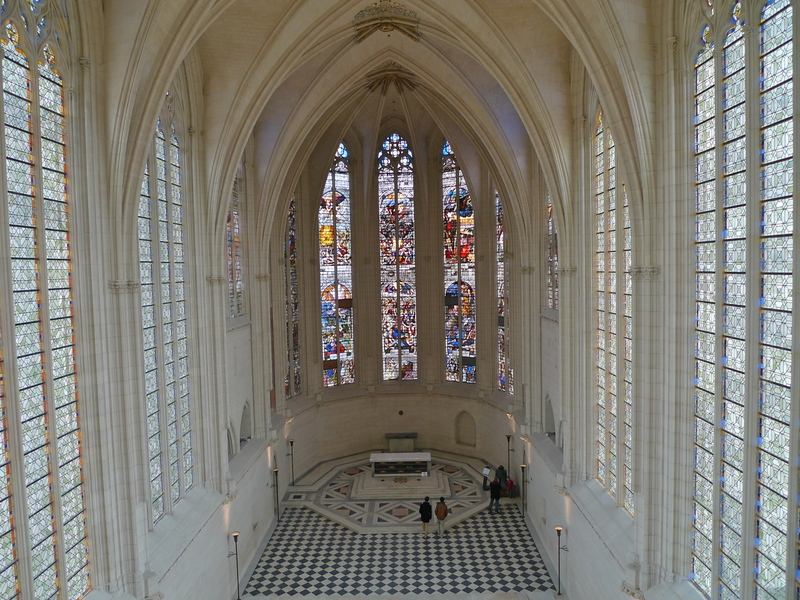 In 1379, Charles V ordered the building of a chapel opposite the keep modelled on Sainte-Chapelle in the Palais de la Cité in Paris, today called La Conciergerie. Although the work began under Charles V it was not until the reign of Henry II (1547-1559) that the chapel was finally completed. And the result is simply breathtaking. 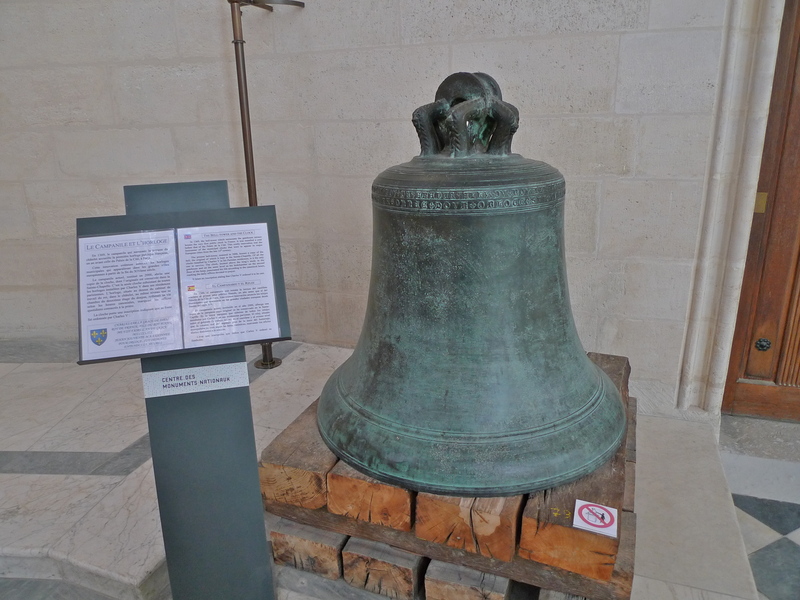 The original bell dating from 1369 which was housed in the chatelet bell tower now rests here in Sainte-Chapelle. 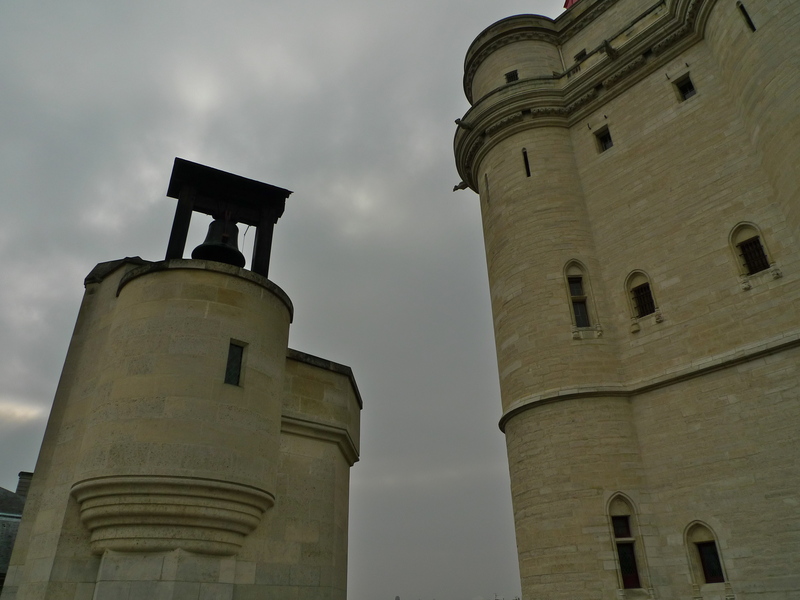 The Château de Vincennes has always had a military connection. As well as being a medieval fortress, Napoleon I converted it into a military stronghold and it also served as the military headquarters of the Chief of General Staff, General Maurice Gamelin during the unsuccessful defence of France against the invading German army in 1940. 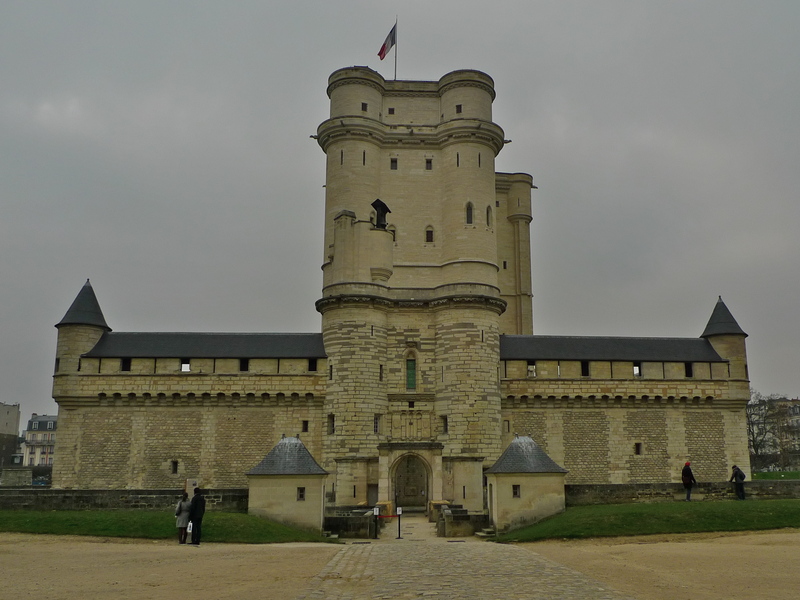 It is now the main base of France’s Defence Historical Service, which maintains a museum in the donjon. And one final thing, the spy, Mata-Hari, was executed here in 1917.